Sculpture by the Sea, Sydney 2010 and Cottesloe, Perth 2011. The Vessel is a symbol of hope and migration. Within the work the structural spear alludes to strength and protection. 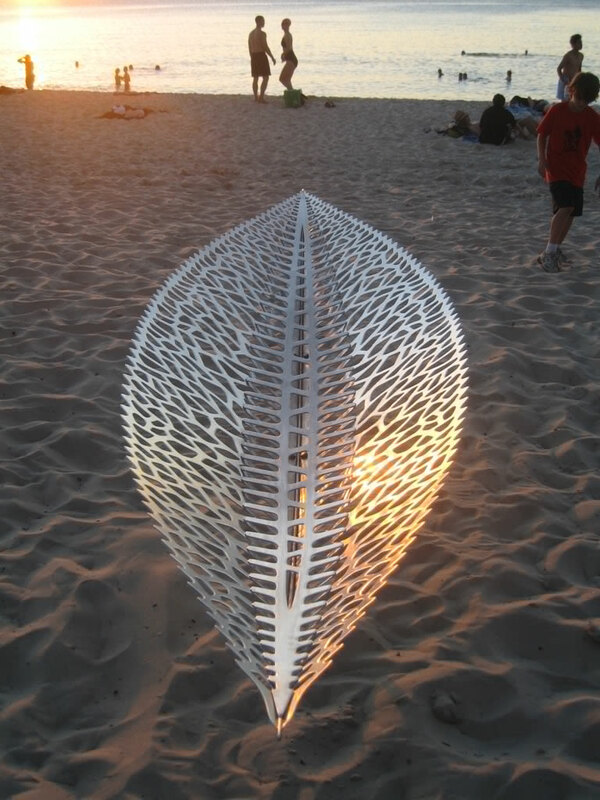 As a Distinguished Invited Artist, Leaf Vessel was also exhibited at Sculpture by the Sea, Bondi 2010. A recurrent theme in my work, the vessel is a symbol of migration and life’s journey. The work can be interpreted in several different ways; seed pod, chalice and vessel.